The American Maritime Partnership (AMP) has recognized U.S. 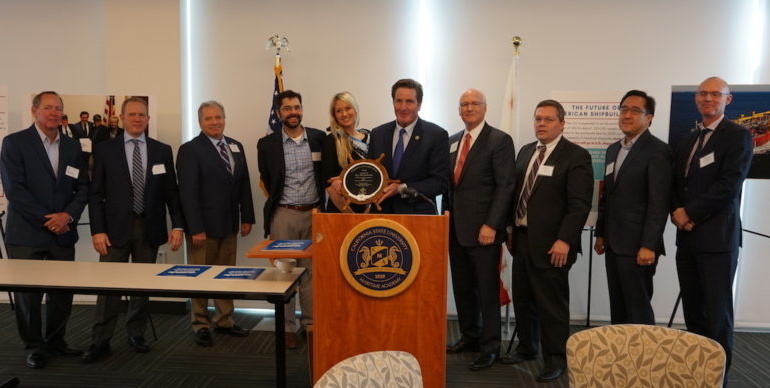 Congressman John Garamendi (D-CA) on Monday with the 2018 ‘Champion of Maritime’ Award. Through his years of work in the U.S. Congress, Rep. Garamendi has been unwavering and ardent supporter of the domestic maritime industry, which includes the men and women who build, operate and crew the tens of thousands of vessels that transport goods and people safely in the more than 95,000 miles of U.S. coastline and inland waterways, the American Maritime Partnership said in a statement.